Welcome to this weeks Letter from America submitted by our very own Irene Parker, but first some news from the Gran Canaria. There was also a High Court ruling in Tenerife against Silverpoint, plus two Courts of First Instance rulings in Gran Canaria against Anfi Del Mar. In all, clients will be receiving over 148,000€ plus legal interest. In four cases at the Courts of First Instance, numbers 2, 4 and 5, with Anfi Resorts once again the defendants, all judges came to the same decision as per the rulings of the Supreme Court. The basis of the sentences varied from the lack of a tangible object found in the contract, floating weeks, along with the contracts being over 50 years in duration. In all the courts have awarded these clients over 138,000€ plus legal interest, also in all seven cases the contracts have been declared null and void. So seven very happy clients and no doubt celebrations at the offices of the lawyers. How I Made my Worst Enemy so Much Money in the Stock Market in Six Days he probably didn’t have to Work Anymore! After a pathetically aggressive and deceptive timeshare presentation my husband and I attended in 2015, I started researching timeshare. We had owned three timeshares having bought our first two timeshares around 1984. I didn’t know how to use Facebook and knew little about Social Media. I started posting comments on places like Tripadvisor. One site responded to my post asking me to fill out a form describing my work and educational background. That seemed odd, but I responded that I had retired from Edward Jones Hawaii and had an MBA and a CFP. A few days later I received a call from one of the TheStreet editors. I almost fell over when he said TheStreet was Jim Cramer of CNBC Mad Money’s investment news service! My first TheStreet article was an “editor’s pick” about how I made my worst enemy so much money in six days he probably did not need to work again. Another article was about creating wealth. 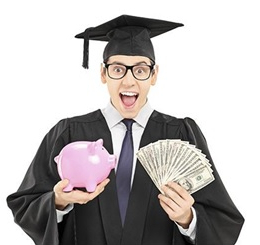 Given most of the 431 timeshare members who have reached out to Inside Timeshare are struggling with oppressive timeshare loan payments, credit card payments and maintenance fees, I republish my advice to graduates on how to avoid excessive debt. I published about twelve articles for TheStreet before finding my writing and advocacy home at Inside Timeshare. The education I received while working with four TheStreet editors, all possessing the patience of Job, felt like I had earned a degree in journalism. I hope a developer or two will take the time to read about how two adversaries can come together for the good old fashioned goal of making tons of money. Shooting yourself in the foot by allowing deception to become the norm is unfair to the consumer and has devastated many families. Let’s together turn this ship around and drain the swamp of predatory and criminal sales agents. At least that is what they are if allegations hold true, according to several FBI agents I have talked to over the last year. Doctor Khalil in my article and I had a grudging respect for each other that we weren’t even aware of. It is my hope the angry timeshare member and developer can come to a similar understanding for the good of the industry. The timeshare developer needs to wake up to the futility of allowing and encouraging sale by deception via overreliance on the oral representation clause, making the consumer sign a perpetual contract, often at a high loan interest rate, often with no secondary market. It can’t continue as it has. Social Media is here to stay. The consumer is not off the hook. My mother would admonish anyone who financed a luxury item like a timeshare at 12% to 18% for ten years, often relying on a 20% or higher interest rate timeshare credit card. That doesn’t make any sense, according to my mom. Predatory Credit Card Lending – Graduates Beware! What does this have to do with timeshare? Don’t finance a luxury item at 12% to 18% as this has been driving some families into foreclosure and sometimes bankruptcy. I don’t think there is a financial planner in the land who would think this is a good idea. 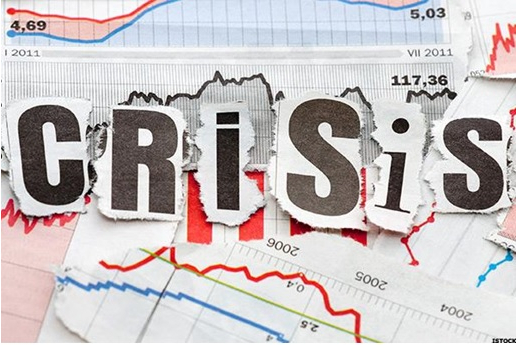 Timeshare members have been contacting Inside Timeshare describing how they have ended up in a financial timeshare wasteland. Tomorrow is my 67th birthday, which has caused me to reflect on my mother, who would have reacted violently, had she learned I financed a vacation at 12% to 18% for ten years. First off, buy no vacation plan unless you are maxing out your 401K, 403B, IRA or company retirement saving plan. It’s always best to check with your accountant to determine whether a 401K or IRA is the best choice. The Roth IRA is of great benefit to younger people. But this is not an article about retirement vehicles – it’s about encouraging graduates to start early. To become better informed, read Jim Cramer’s book, Get Rich Carefully, and then simply check yes to something, preferably 15% payroll deduction. Here is my TheStreet article about my mom’s extraordinary forced savings plan and about how $50 a week starting early can end up over a million $. Please pass this lesson on to your upcoming graduate. My mom drilled into me the time value of money principle every Friday night from the third grade until my high school graduation. This principle is so simple you would think it would not even need to be mentioned. Unfortunately, as an Edward Jones broker, only about one in twenty of my 1,200 client families working towards financial independence, got it. Many did not max out their 401K, 403B or self-employed retirement account. My mother’s retirement savings method was extraordinary. Her finance education was nothing more than a bookkeeping class she took in high school; but she was a walking MBA. My father flunked 7th grade three times due to something about the school basketball team. He started and failed in six businesses, narrowly escaping a second bankruptcy. I was born into a dry cleaners, his seventh attempt at business. On my ninth birthday, I was informed I was to start helping with the Friday payroll. Mom told me about her “background fund”. Every Friday night she would point to the checkbook balance and a number she recorded in a secret location. She would say each week, “This is our background money – and you are not to tell your father about it unless I die.” It was a lot to absorb at age nine. You see, if the dry cleaners took in $200 in a day, but had $100 in bills to pay, Mom would only record the balance as $100 so my dad would think they were broke. My Mom kept up this charade for 27 years! At age 65, my parents stopped by a Cadillac dealer. Mom pointed to a powder blue Cadillac and asked Dad, “Do you like this one Johnny?” He nodded. Mom looked at the salesman and said, “We’ll take this one.” She wrote a check, turned to my dad and told him he could retire. One of my brokerage clients was a cartoonist. She took this story and made it into a cartoon booklet. I handed out 2,000 copies to help build my brokerage business on the Big Island of Hawaii, currently erupting. I had just opened my brokerage office in Honoka’a. The local police officer went up and down the street warning residents not to invest money with this haole lady (haole means in Hawaiian “one who has no life” because the Hawaiians thought the white sailors were ghosts) as I would in all likelihood take their money and abscond back to the mainland. At the time, the local insurance agents were selling whole life insurance policies as an investment. Undeterred, learning the sugar plantation had closed, and workers could not get their pension benefits, but could get Social Security disability benefits, I lobbied the ILWU. It took about a year, but they amended the plan, workers received their benefits. I began receiving calls like, “You’re the only haole we trust!” My business flourished as $50 million in assets flowed in. But – back to the cardinal rule of investing. 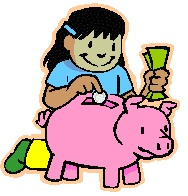 The most important principle my mother taught me was – PAY YOURSELF FIRST! As I typed payroll checks, she would point to the list of employees and sadly say, “You see these people! They live from paycheck to paycheck! Think of yourself as a light bill or a telephone bill. You would not miss paying those bills. Don’t wait until you pay your bills to see if anything is left over to save!” Pay yourself first! The estimated future value at age 60: $1,116,612. 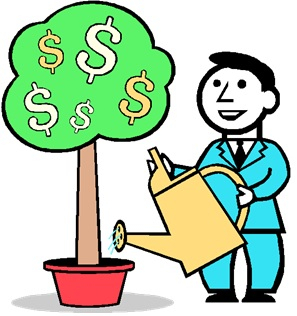 Liquidating or receiving in dividends and capital gains 5% of portfolio income each year in retirement: $55,830 estimated annual investment income. Most people can comfortably retire on 70% of current income (you should be earning more at age 60 than the $40,000 a year you started out with at age 25). Future value estimate at age 65: $175,945. The examples illustrate the power of the time value of money. I went through this exercise with all new clients and watched their eyes widen as my now ancient 12C HP Calculator blinked out the good or bad news. I recently showed my estate planning law firm how it works. Despite being a highly skilled law firm, my little calculator caused shock and awe. Teachers were the best savers; maybe because of the steady paycheck and their expertise in education. 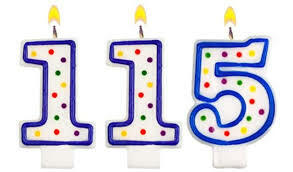 Make sure to pencil in ten minutes every birthday to keep your annual scorecard by updating the numbers. There are an abundance of retirement estimators on the internet. My husband and I had kids to send to college, pitfalls and financial disasters, but overall, we kept the 15% rolling. Thanks to our pharmaceutical bioavailability laboratory, my jumping ship to learn the ropes of Wall Street, and prudent investing, my husband and I retired at age 55. We don’t live in a palatial home or drive an expensive car, but we enjoy our comfortable lifestyle. And you know what else? Not one of my clients ever told me they were sorry I made them save all that money. Thank you Irene, a change from our normal theme, Next week in the Tuesday Slot we publish a story from Haley Saldana, another new contributor and her story of woe. If you need any help or advice about any company that has contacted you or you have found on the internet, whether is be about claiming or just getting out of your timeshare, use our contact page and we will give the correct information. 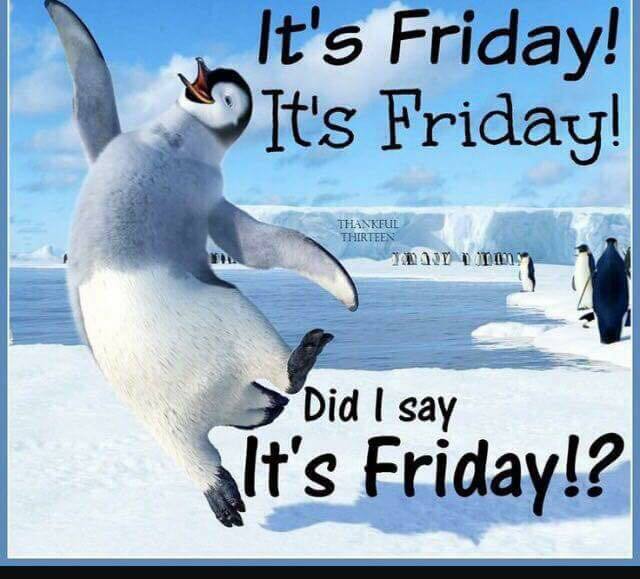 So that’s it for this week, it’s Friday and the weekend is now upon us, have fun and join us next week with more news from the world of timeshare.